Here’s a great way to kick off your Labor Day weekend. 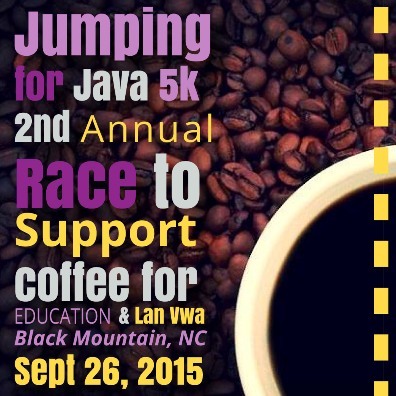 The Jumpin’ for Java 5k (race date September 26) has teamed up with Pisgah Brewing Company in Black Mountain to offer a special registration day all day Thursday, September 3, 2015. If you register at Pisgah Brewing Company on September 3rd you’ll receive a 12 oz beer with your registration. Pisgah Brewing Company is open on Thursdays from 2 PM until 10 PM (or later when there is live music).